Customers who have current accounts with Halifax, Lloyds Bank and Bank of Scotland will see big changes to their overdraft fees in January 2019. Despite introducing a single charging structure in November 2017, Lloyds Banking Group has announced this will be replaced again by a new three-tier system from 14 January. Which? explains how the overdraft fees will change, and whether you could find a better deal elsewhere. What are the overdraft changes? Under the current payment plan, introduced in November 2017, customers pay 1p for every full £7 they are into their overdraft. This is charged as a daily fee. So, if you were overdrawn by £1,000, you’d pay £1.42 per day. However, once the new tiered system comes into force in January, this will get more complicated – and more expensive. Up to £1,250 = 1p for every full £6. Between £1,250-£2,500 = 1p for every full £7, plus the lower tier of charges. More than £2,500 = 1p for every full £8, plus the two lower tiers of charges. If you take out £1,000 of your overdraft under the new system, you’ll pay £1.66 per day. An increase of 24p doesn’t sound like much, but over the course of a year, you’d pay £87.60 more in overdraft fees. Someone who’s overdrawn by £3,000 would pay £4.48 per day, up from £4.28 under the old system. This equates to an increase of £73 over a year. Unarranged overdrafts will remain fee-free, as Lloyds Banking Group scrapped them in November 2017 following the FCA’s investigation into unarranged overdraft fees. Lloyds was praised for taking this step, so it’s disappointing to see Lloyds using its new structure to ramp up charges just a year after cutting them back. Which banks offer the cheapest arranged overdrafts? Arranged overdraft fees vary between banks. With Lloyds Banking Group, being overdrawn by £500 for a week would cost you £5.83. You can find a much cheaper overdraft deal elsewhere. First Direct’s 1st Account has the lowest fees – charging just 71p for a week’s £500 overdraft. There are no charges for amounts less than £250 – so those with smaller overdrafts wouldn’t have to pay anything at all. In second and third place, there’s M&S Bank’s current account which charges £1.13, and Starling Bank, which would charge £1.34. 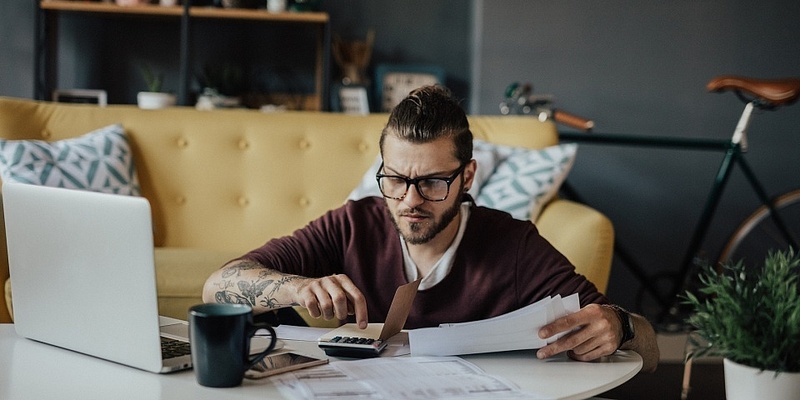 These charges are significantly cheaper, so if you know you’re likely to be overdrawn for a significant period of time it could be worth switching. An overdraft is a form of bank credit, where you’re given permission to borrow more money than you have in your current account. There are arranged and unarranged overdrafts. Arranged overdrafts are agreed with your bank in advance. You’ll be given an overdraft limit, and it will be regularly reviewed. Unarranged overdrafts are when you go beyond your overdraft limit or, if you don’t have one, have less than £0 in your account. Unarranged overdraft fees can be very high – earlier this year we called for the FCA to clampdown on banks who were charging their customers more in unarranged overdraft fees than payday loan companies. If you’re worried about how much your overdraft is costing you, there are several ways you can help reduce it. Talk to your bank: banks have a responsibility to help customers avoid debt. If you tell your bank that you’re struggling with your overdraft fees, they may be able to reduce or freeze them for a while, or help come up with other ways to manage your money. Take out a 0% balance-transfer credit card: transferring your debt onto a 0% credit card means you’ll have no interest to pay for a set amount of time. This should mean it’s easier to pay off. Reassess your budgeting: if you can reduce your spending or find new ways to make money, you’ll see your overdraft shrink over time – along with the fees.